RedElf (Elle Fredine) photographer and published author, educator. Life-long learning is key to adding value to life. One of the most important decisions you will make as a working parent will be choosing a day care center for your child (or children). There are many factors involved in this decision. Making a checklist is always a good place to start. Write down what you are looking for - make a wish list of programs and services you would like to see offered, and prioritize the list. Cost, though important, should not be the decider. Many parents have limited means to devote to child care, but there are other important items on that check-list that should be considered before cost. When all the factors have been weighed, the most expensive center may not turn out to be your best choice, nor may the cheapest center turn out to be your worst option. Will your child (children) require all-day care, part-time or part-day care, or, in the case of school age children, before and/or after school care? Are you looking for a center that caters to infants and young children, or will your needs be best served in a multi-age center, where your child can learn to socialize in a variety of age groups? What kinds of programs and activities would your child enjoy? Is location your most important concern? Your commute time can be a strong factor when choosing between otherwise equally rated centers. If the drive is a long one, will you have the energy to spend quality time with your child once you arrive back home? Before you pick up the phone to start calling day cares, or fire up the computer for an online search, it would be a good idea to draw up a list of some of the most important items for your consideration - some of the basics to look for when you start your visits to potential centers. As well, make a list of some of the things you know your child is interested in, and spend some time thinking about what programs or activities might help your budding Einstein or Isadore Duncan develop their potential, as well as help them develop in other areas. Is your child interested in music? Drawing? Does your child spend hours building complicated structures, or prefer to build things only so they can be demolished? And, yes, most kids grow out of that stage eventually, but it's great fun, not to say challenging, while it lasts. And, yes, do make up a list. It so much easier to see your priorities, and compare them to what the various centers offer, when you have something in writing. The various options may sound enticing, but make sure you can check off your basic requirements, first and foremost. Then, you can better judge where you may need to compromise. Most reputable day care centers, including day homes are required to be licensed and inspected before they are allowed to accept children. Some agencies require on-going inspections to insure that their standards continue to be met. 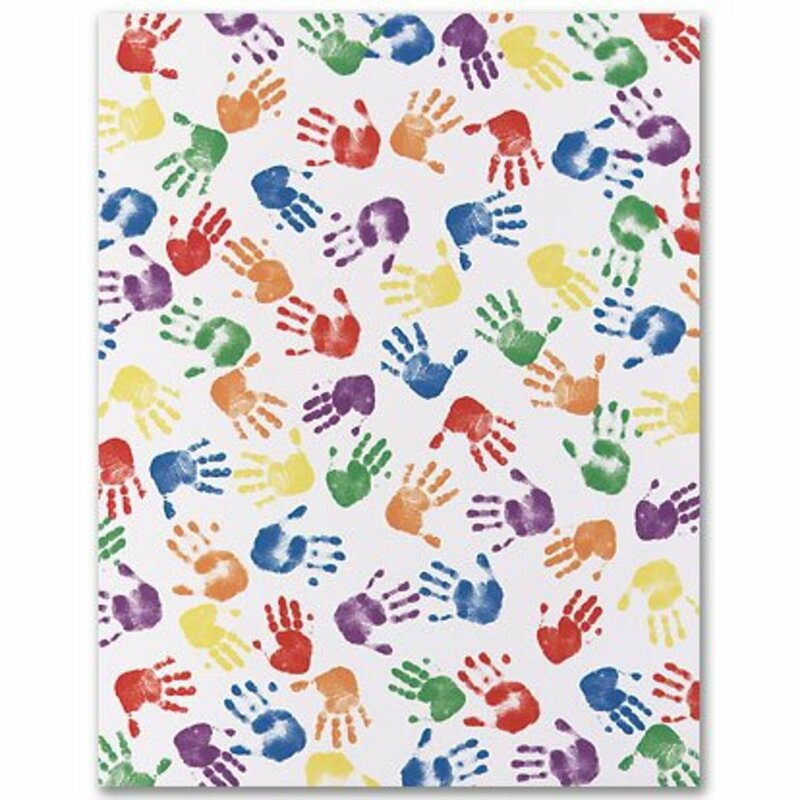 Does the day care center you are considering display its current license? Some states, provinces, and licensing bodies require that any facility display their license prominently - often in the office or main area. If you do not see a license, ask - if the manager or owner is reluctant to let you see the license, check with the licensing body in your area. Are the child care workers certified? Many centers require their staff to have certification, and/or take courses to upgrade or enhance their skills. Often, the center will display these certificates in the common area or office - do take a look at the certificates and make a note of the licensing body. As well, you might consider checking with the licensing body in your area about what qualifications are needed to work in day care centers or day homes. Most day care centers require that there is always at least one worker at the center at all times with First Aid certification. Many day care centers will assist their staff in ensuring their credentials remain up-to-date. Some licensing bodies do not require this, so make sure you are familiar with the requirements for your area. Many service organizations such as the Y.W.C.A., and many churches are now required by state, federal, or local licensing authorities, to conduct a criminal records check for all volunteers and ministerial staff who will be working with children, the elderly, or the vulnerable. Do the licensing bodies in your area have this requirement? 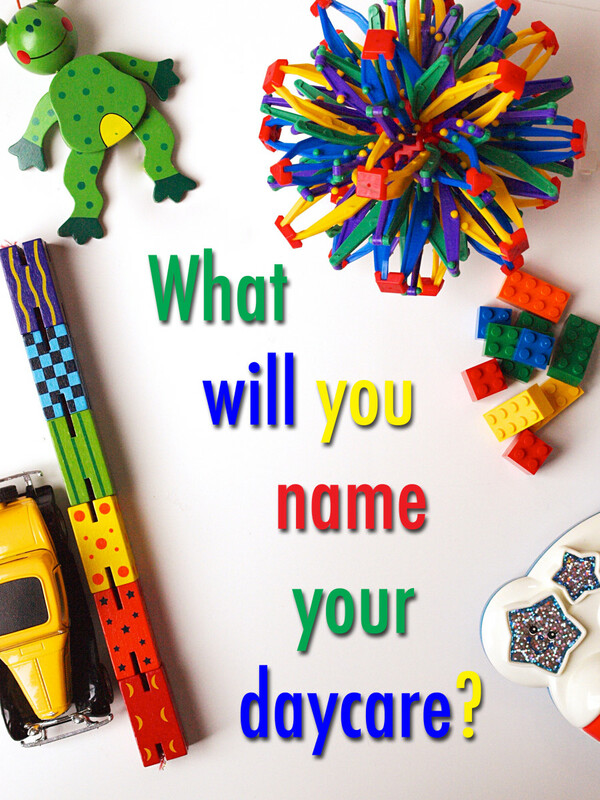 What is your first impression of the day care center? Is it bright and clean - well-kept and welcoming? Are the children happily occupied or does the atmosphere seem overly controlled? 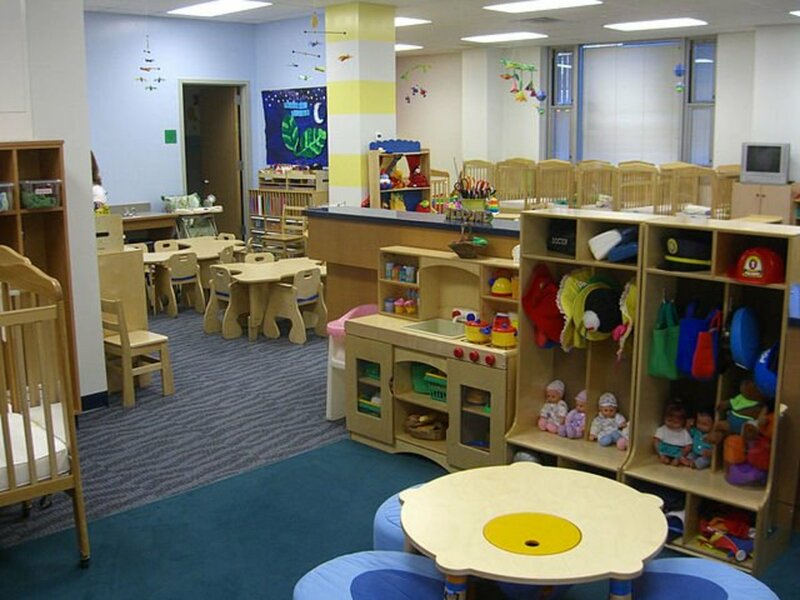 A day care center doesn't need to be filled with the most expensive or up-to-date equipment to be a great place for your child to learn and grow. It does need to be clean and well-kept. Do you notice any unpleasant smells anywhere, particularly in the kitchen area, baby fold, or bathroom? 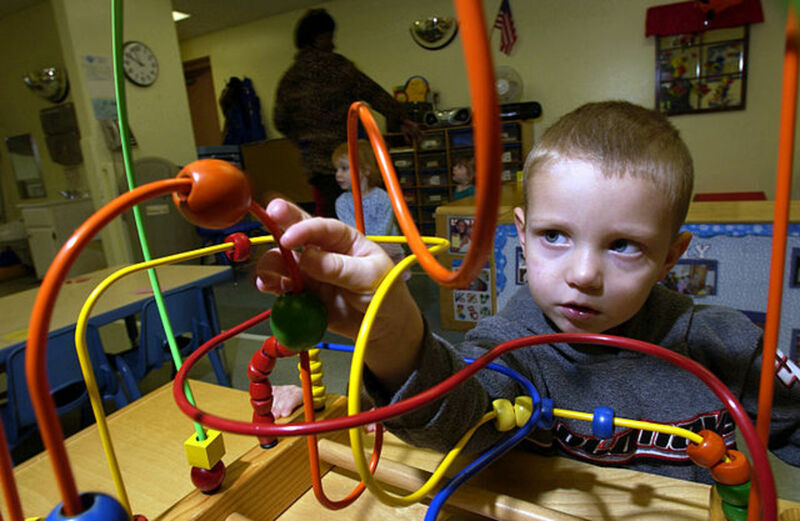 Some day care centers are lucky to be endowed with a wealth of toys and games. Some centers have little. The number of toys is not as important as how the toys are being used. Are the children playing with them and each other? Do there seem to be enough staff for the number of children? Everyone can have a bad day, but do the staff seem to be genuinely enjoying interacting with the children? 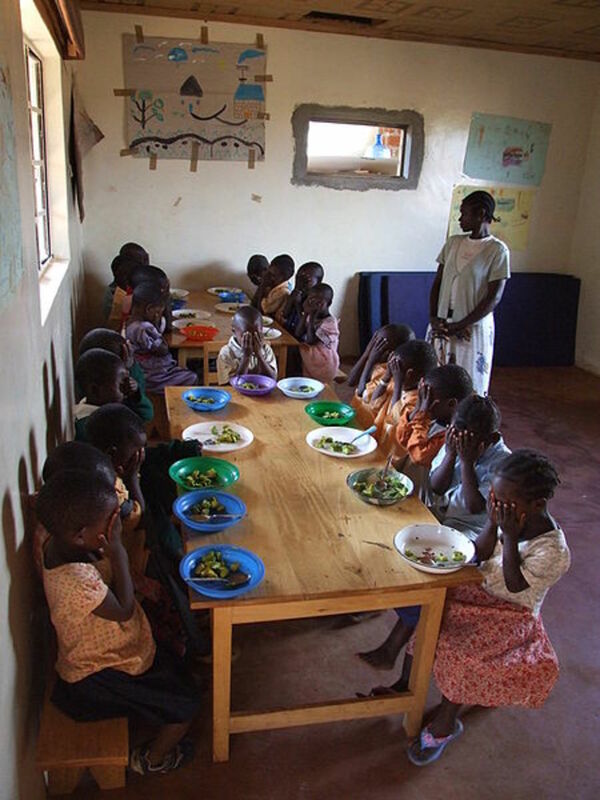 Many centers provide a hot lunch, as well as morning, afternoon snacks, and after school snacks. Some centers ask the parent(s) to provide the snacks. Does your child have special dietary needs that should be addressed such as allergies or restrictions? Do you need a center that will keep kosher, or be willing to make vegetarian or vegan substitutions for your child? Allergies and sensitivities to foods are fairly common. 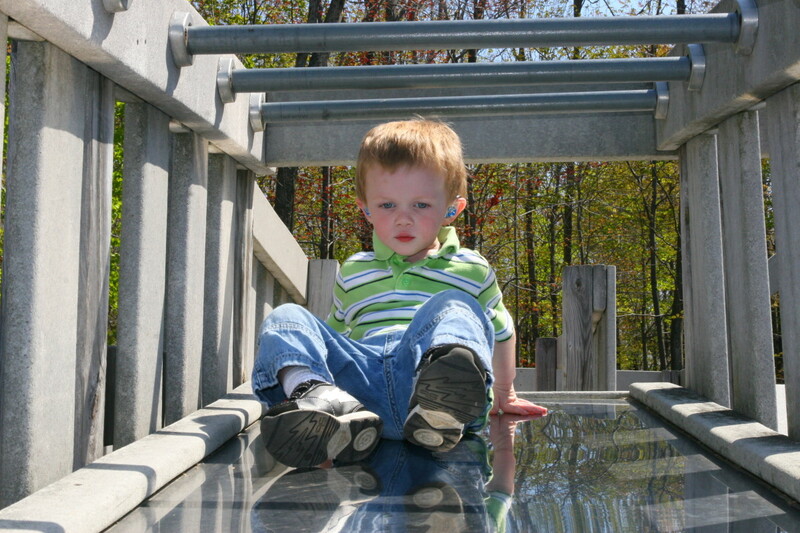 Some day cares cater specifically to children with special requirements. some provide a variety of snacks and a fairly simple meal plan that can be adjusted to suit the individual child's tastes and needs. Are there any allergies among the other children of which you need to be aware? Sending a treat for your child's friends is a nice idea, but make sure no-one is allergic or not allowed to eat certain things before offering the treat. Is there sufficient variety in the meals and snacks? It's easy to get into a rut, or claim "that's all the kids will eat" but sufficient variety is important, as is good nutrition. Are they serving foods your child will eat? Ask your child if they liked their lunch/snacks, and then ask what they ate. If they report eating the same thing day after day, it might be time to do some checking. Initially though, asking to see the meal and snack plans for the month is a good start. Are there regularly planned outings and field trips? Most day care centers do at least take the children on outings, even if just the occasional ramble on fine days. Field trips to local parks, libraries, and outdoor activity centers (play parks) might be some regularly offered outings. Other trips, such as visits to a museum, planetarium, or nature park might entail an extra fee. What programs are offered for the children? When you visit the center do the children seem busily engaged in interesting activities, or are the children mainly involved in free-play or watching videos? Watching videos is not necessarily a negative. My son loved certain kids' shows, and they were a great occasional treat. We watched them together, though, and the videos were not used as a babysitting service. It just isn't fair to expect sunshine and roses from everyone on every visit, but pay attention to your reactions, and especially to your child's reactions. Are there activities offered that your child will enjoy? Does your child seem ready and eager to participate? 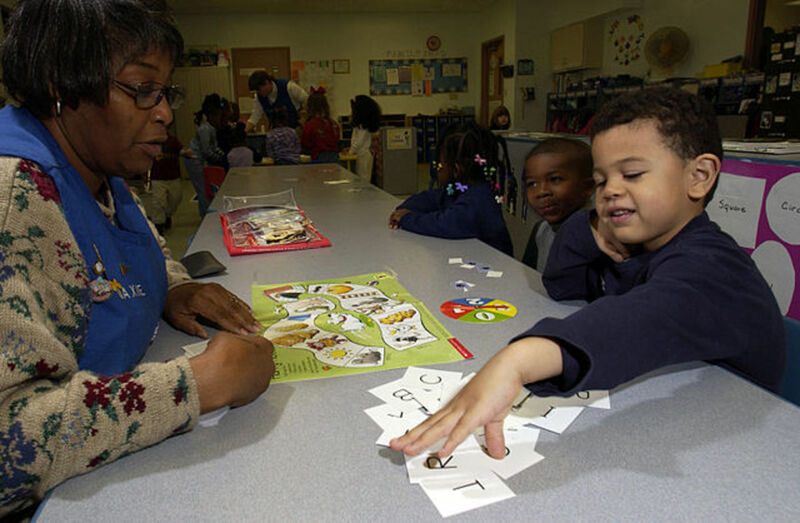 Some centers offer school-readiness programs and a wide variety of enrichment activities. 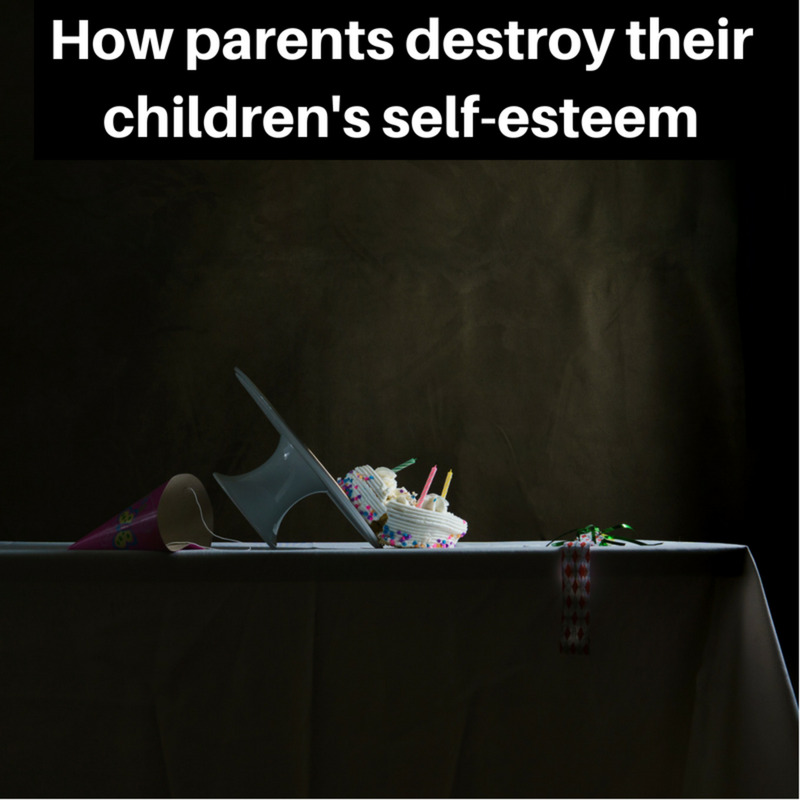 This may be something you might be interested in for your child's development. It is important to know that your child is well cared for while you are at work or going to school. One of the most important decisions you will ever make as a parent or guardian is choosing quality, affordable child care. A final important item to consider - ask your friends and neighbors where their children attend day care. Ask how they and their children like the center(s), and whether they would recommend that day care for your child. If their children aren't in day care, ask if they know of anyone you could talk to. Ask at your doctor's office, ask your hairdresser, ask anyone whose opinion you trust. As you can see, choosing the right day care center for your child will not be an easy task. There are many factors to consider, along with the cost of care, or whether a subsidy may be available - as well as what facilities are available in your area. Unfortunately, for any parents, these will be the deciding factors, but with some hard work and research, you may still be able to find a great day care center for your family that fits your needs and your budget. Everything written in the article makes sense. Hope we get to see more content from your side. Thanks so much Peggy. Hopefully, more parents will check things out ahead of time. A checklist of things most important to parents when considering places to house/feed/teach/entertain their youngsters should be top priority. You have nicely elaborated upon all kinds of things to consider for parents when choosing a good childcare place of operation. Thanks so much, friend Hh. I loved some of those days, too :D and I really enjoyed working in day care. An absolute wonderful and splendid hub. I wish I could back to those days when I took my little sone there. I loved those days. Thanks so much, K9! I am thrilled to earn the accolade. Glad you found the hub informative. NotSoPerfect, thanks so much fro stopping by and commenting. Glad you found the info useful. Congratulations on winning Hub of The Day, I can see why you got the award! Very useful and helpful tips. Also a very informative hub for a mommy like me. Thanks for sharing this! Voted up, useful and interesting! A well deserved accolade! I found your "clean and cheerful Day care" section really important! Nice job, congrats! Thanks so much, homesteadbound! I enjoy helping out! It's also great to receive the Hub of the Day. Thanks so much for stopping by to read and comment. What a thorough hub about all the things to think about when choosing a place for your children to spend their time! You have thought of everything. Definitely deserved hub of the day... congratulations. disujaalbart, thanks so much for stopping by and commenting. Thanks, fornalina - it looks pretty nice, that,s for sure. jacqui2011, thanks so much. That means a lot coming from a worker in the field. msshandriaball, how lovely for our armed forces parents! As both you and tlpogue mentioned, it's SO important to do your homework first. randomcreative, thanks so much. I am really tickled about Hub of the Day! Ardie, thanks bunches - I talked over the checklist with my daughter-in-law, and she supplied a couple of items I hadn't thought of, so I had some great help. Thanks so much, prairieprincess! It certainly does take a lot to keep them busy some days! Parents have so many choices and responsibilities, and getting their little ones off to a good start can be a big job. Elle, this is such an excellent, thorough hub! Congrats on it making as "hub of the day." I had been meaning to read it and then it showed up in that little box on my feed! I used to work a teacher's assistant whose part-time job was at the daycare. It's a lot of work to keep those little guys busy and productive. You've done a great job helping parents to evaluate their child-care options. Voted all the ups except funny. Awesome checklist for parents! Child care is never an easy decision but tips to make a well informed decision will put everyone at ease. Congrats on getting Hub of the Day! I am a child development major and recently toured a couple of centers (8) in my community. I found the center on the military base the best , the worst were home-based ,and head start fell in the middle.It is so important to do your homework before you enter your child into a center. Congrats RedElf on hub of the day! 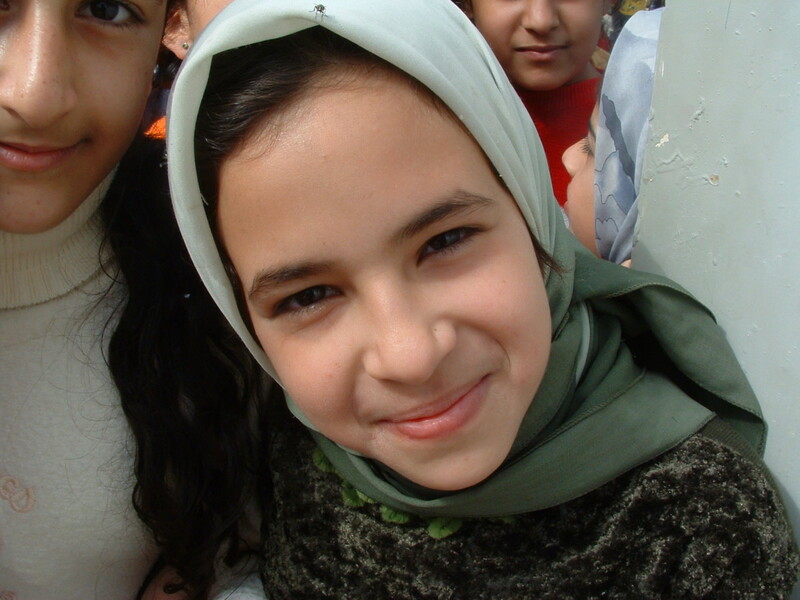 I was one of the fortunate mothers that was able to stay home to raise my children. I have heard many horror stories from cousins and other family that have placed their children into childcare. I have to agree, it is good to do your homework before picking one. Even if the place may have a great review, doesn't mean it is the place for your child. Great tips! 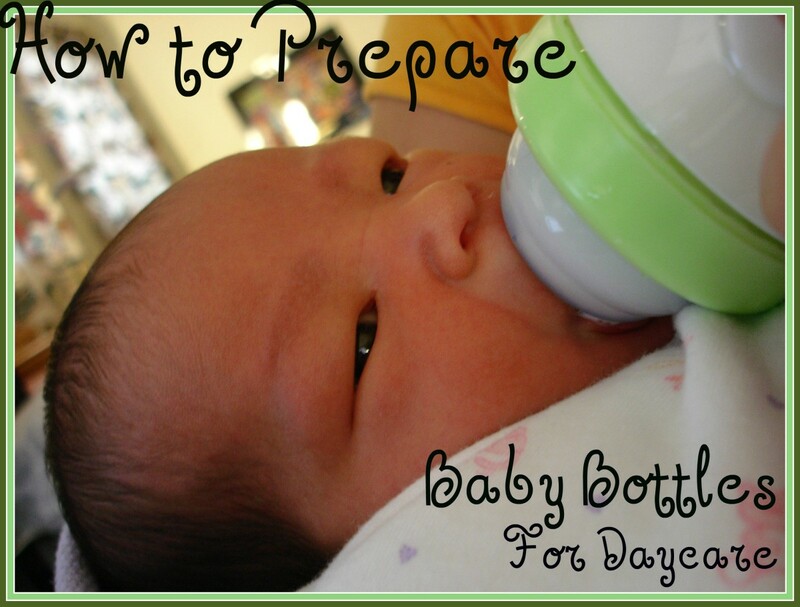 Very useful tips to select better Day Care Centre. Voted up! Congratulations on Hub of the Day, which is so well deserved. A great article which is very informative and every parent looking for day care should read. I work as a nursery nurse and all the points you make are valid. Voted up and useful. Your Hub is really helpful. I think that the first photo shows the ideal day care. Thanks so much for the visit, income guru. Glad you liked the photos. Excellent! Useful tip for those searching for how to run a home day care center. Thanks for also taking time to share beautiful photos on daycare sitting arrangement. Greetings, Chin Chin. Your children were very fortunate to have you at home. This is a very informative hub. I will definitely have to do my homework! Thanks! I did not put my children into daycare as I am a stay at home mom. But this hub is really helpful for parents who are looking for a daycare for their children. Hi, Denise - glad you liked the photos, and thanks for stopping by and commenting. Excellent tips, RedElf. Great photos as well. Thanks so much, leahlefler, and you are so right - you may have to change day cares as your child grows. It is definitely important to do your homework on any preschool or daycare center! This is a great hub, RedElf - my older son went to a daycare that was wonderful for the infant room (high staff to child ratio and teachers who were there for many years) but the toddler program was not as well organized. We found it was perfect for his infant period, but the same program was not as good for his toddler and preschool years! Thanks so much, 2besure! There used to be so little choice for working parents, but there are so many centers now, it's really important to do your homework. Gosh, I still remember when I was in kindergarten. I loved the kitchen section and the giant puzzles. You did a great job on this hub. It is important to do your research when choosing a daycare center for your child.